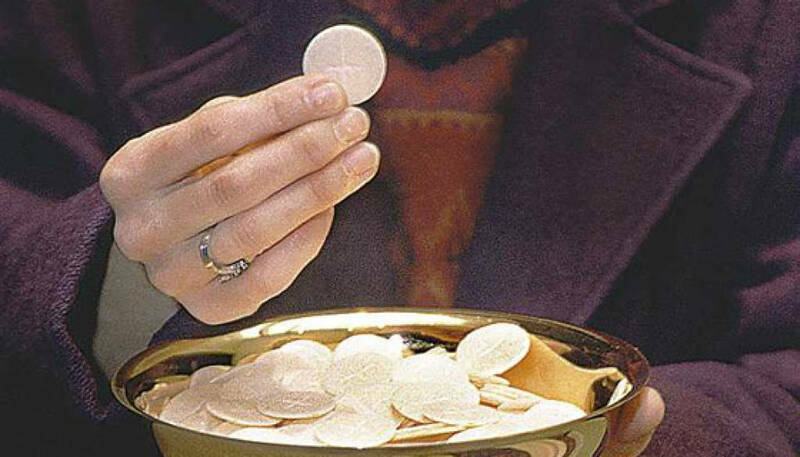 According to Redemptionis Sacramentum, an Extraordinary Minister of Holy Communion is a layperson formally instituted to administer - that is, distribute - Holy Communion during the Roman Catholic Mass. They are referred to as extraordinary as the ordinary ministers of Holy Communion are Bishops, Priests and Deacons. Extraordinary Ministers of Holy Communion are particularly dedicated to the Eucharist. Their purpose is to serve the congregation by distributing Jesus in the Holy Eucharist to the faithful. At Saint Joseph, these ministers assist the priest-celebrant in distributing holy communion at Masses and at special feasts during the year. An Extra Ordinary Minister of Holy Communion must be fully initiated into the Catholic Church, which means he/she has received the Sacraments of Baptism, Eucharist, and Confirmation. If you feel you are called to this ministry, please contact Don at dcd202@sbcglobal.net or 330-945-6636.